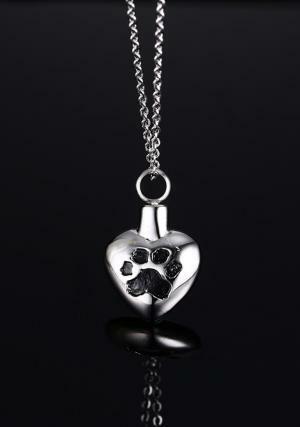 Pet memorial cremation jewellery heart pendant carries the cremation ashes of you loved pet. 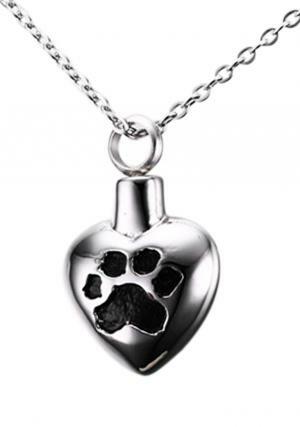 Pet urn pendant jewelry designed by our skilled jewelers and the stainless steel metal is used to build. 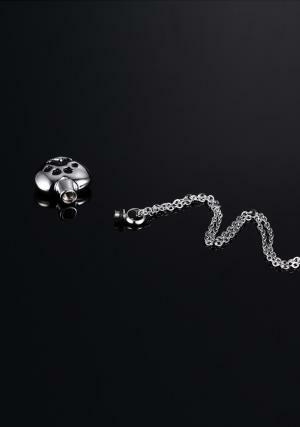 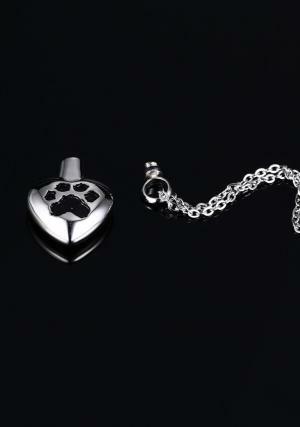 The locket cremation jewelry is designed with black color paw print on it which looks fashion to wear it. 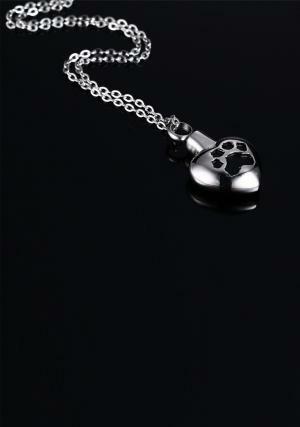 Dog / Cat Pendant jewellery measures 18 mm of size which comes with 50cm long chain. 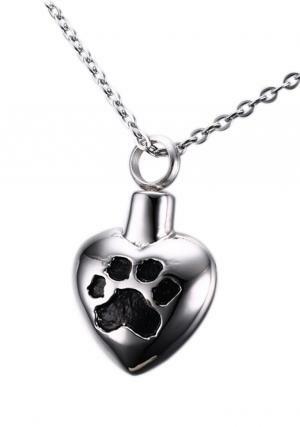 The heart pet urn jewellery holds the 1.1 cubic inches of ashes.